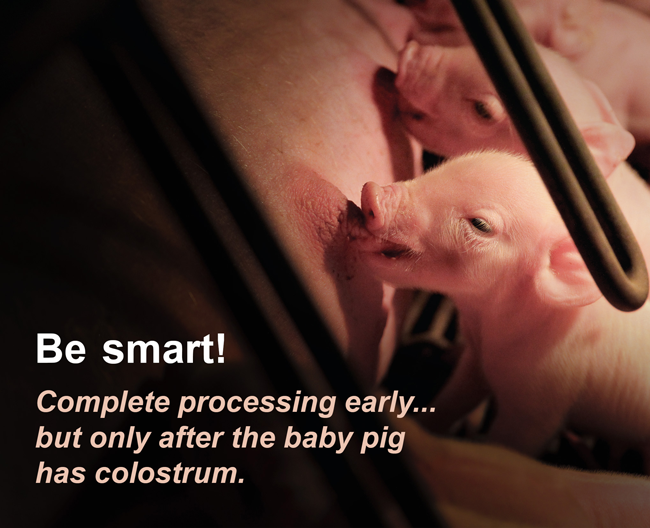 Once baby pigs have had a belly full of colostrum, you can begin processing litters. Your farm may do this any time within the first three days of life, and it will be one of the first major interactions you will have with the baby pigs besides monitoring sows as they farrow. Doing this with clean, sharp equipment and with skill is important.